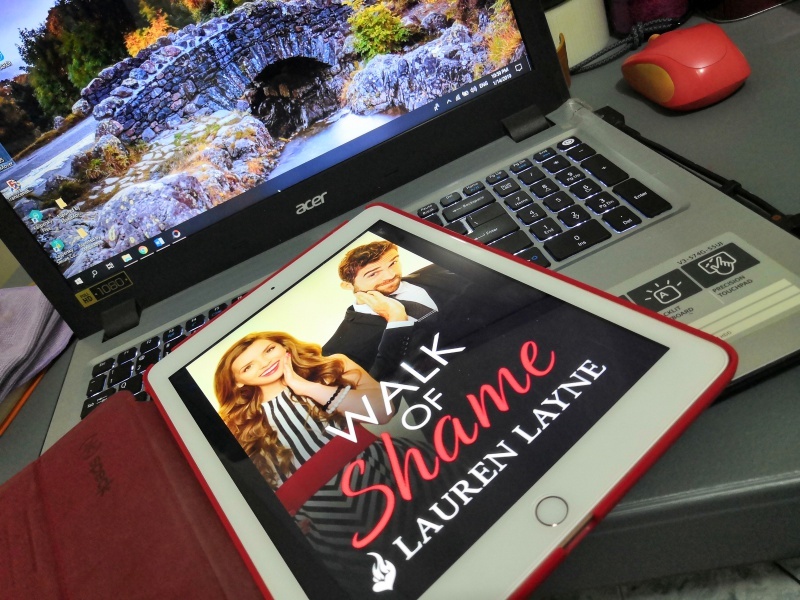 Lauren Layne is currently one of my favorite romance novelists. I don’t think I’ve read a book written by the woman that I did not like. It all started with me stumbling on one of her books and that was it, I was immediately a fan. What was that first book? It was Walk of Shame. The book is about socialite/party girl Georgie, who is puzzled by the resentment that her divorce attorney neighbor Andrew often shows her when they run into each other at the lobby of their building. As with most love-to-hate tropes, the characters struggle with their differences until they realize how they complement each other and are right for each other in the end. I think that with any romance novel, the happy ever after is expected, so it wasn’t that big of a deal for me. What I enjoyed about this book is what happened before the two characters had their happily ever after. The situations the characters got themselves into, the witty banter that had with each other, the way the clash and the way they got together romantically…everything was interesting and entertaining. Both characters were charming enough for readers to be emotionally invested in so by the end of the book you are just as happy as they are for how it all ends. It ends a little too soon for me though, I wanted more because I was enjoying the book too much! It was a good combination of comedy and romance…it was perfect! Why are women attracted to the serious/brooding guy in romance novels? I was crushing on Andrew from the start with all that stuffy serious façade that he has. There’s always something to tearing down the walls of good-looking brooding guys like him that make stories like this interesting, especially if the one doing the wall-breaking happens to be a spirited character like Georgie. While I admit that I fell in love with Andrew (I was picturing Theo James, haha), I also found myself loving Georgie. I like that despite having that party girl image, there was more to her that people did not see. The girl has a good heart. The way she connected with the guard/doorman at their building and the sincerity she shows in the way she interacts with him is proof of that. I agree with other readers that it would have been great if there was a greater character growth for her in the book, I still feel satisfied that everything developed in a way that was realistic given the timeline of the book. I don’t know how Lauren Layne does it, but the chemistry between her characters always seem to just pop up off the page and Walk of Shame is no exception. You can feel that chemistry while you read it. If sparks could fly off the page, it would. And yet, despite that, the pacing of the relationship was still in a way that was realistic. Nothing happened too fast for the sake of getting the story going. I liked that. To Lauren Layne, I must tell you that I have never wished for a guy to tell me that I’m ridiculous until I read your book. Now I feel like if a guy says that to me that I’d be doing a double take and remember Andrew. I can’t wait to read more of your books! I never regret reading them! A Discovery of Witches on TV!